If you visit one of the many farmers markets in the western world you are bound to come across at least one of them. They could be driving a Range Rover looking for a wild pheasant for a BBQ, or they could be a tattoo-smothered biker casing ingredients for a biscuit recipe. They are bound to be taking photos on their phone, coffee or organic chai latte in hand, probably sporting a hangover from visiting a ‘too cool for school’ sake or wine bar the night before. They are out there. Like an edible mold, the food movement is creeping around the world and gaining followers wherever it goes. Super star chefs saturate the media. Kids as young as 14 are on TV, boning knife in hand showing us how to strip a bull carcass. If it’s naturally line caught, vine ripened, organically grass and walnut fed, free rang and locally grown – then it is a hit. Now it seems that everyone is an expert, everyone wants to be a chef. Food has become way too cool, but here in Kyoto, Japan – there is one regional food way that takes this to a whole new level. 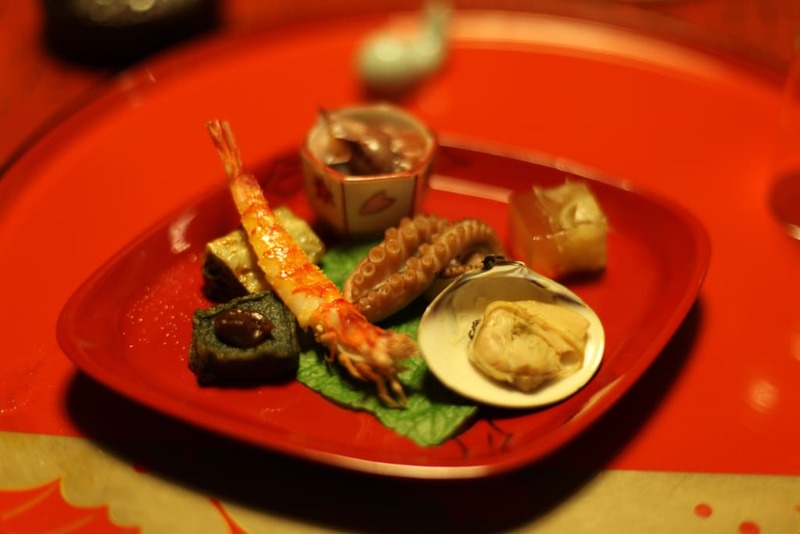 It is the art of Kaiseki and it has been happening here for almost 500 years. Its hot. Really hot. The nights are too hot to sleep and eating is almost unimaginable. Every day rolls in and out and the only respite is the occasional summer thunderstorm and the cooler air at 4.30 am. The cicadas are out in full force and in some places around the city the noise is deafening. It’s summer. Kyoto, even though it is up in the mountains, is extremely hot in summer and staying at home in the air conditioning and watching a DVD seems like the only good idea. But not tonight, tonight we are going to Ryotei Kikunoi to experience a ten course degustation that I am looking forward to immensely. Ryotei Kikunoi has been a Kyoto institution since 1912 and it’s third generation chef and owner Yoshihiro Murata is one of Japans best. The word Kaiseki originally comes from the act of Monks putting warm stones under their robes to stave off hunger. The word ‘kai’ meaning bosom and the word ‘seki’ meaning stone. Over time this term grew to mean light style meals to keep the hunger pangs of an empty stomach at bay. In the 16th century during tea ceremonies, small accompaniments were served to guests so that they could enjoy their tea, as the caffeine was usually too strong for peoples empty stomachs. Sen No Rikyu (1522-1591) Japan’s most famous and most well renowned master of the tea ceremony, slowly over time started to serve more elaborate dishes as opposed to just the normal miso and a few side dishes. Cha-kaiseki was born. There is also another form of Kaiseki which is only found in Kyoto called Kyo-kaiseki and this is based on local Shojin Ryori – or vegetarian temple food. Chef Murata’s food is part of this Kyo-kaiseki tradition although he has adapted his food slightly to cater for customers tastes, occasionally meat and almost always fish appears on his menu. Summer is festival time in Japan and Kyoto is gearing up for the huge festival of Gion Matsuri. There is an energy in the air, lanterns hang in the paper hang from shop fronts and there are parties happening everywhere. IMAGE REFERENCE -The following food & restaurant images are scanned reproductions of photographs taken by Masashi Kuma in Murata Y (2006) Kaiseki, The Exquisite Cuisine of Kyoto’s Kikunoi Restaurant. Upon entering the restaurant we feel a sense of peacefulness; the interior of the restaurant looks like an Edo era Kurasawa film set. The ikebana flower arrangements give a sense of ‘coolness’ in their minimalist design – actually it is probably best described as a lack of flowers – never before have a few sticks given me such a feeling of temperature. This is dining in a time and place – never again will this happen exactly the same as now. Japanese culture is one of non-agency, in that, it is not the self or ‘I’ that is the subject of attention, but rather the relationship between things that is important. In Western cultures we focus on ourselves as being the main subject – this is our sense of agency that has been engrained in our philosophy and society. This sense of the agentic can also been seen in our language with the noun and in particular ‘I’ being the focus of the sentence in not only English but in many Western languages. In Asian languages and in particular in Japanese this is different. It is the verb or the act of doing that ‘connects things’ that is important. This difference comes from a difference in philosophy and thinking. In the East philosophy is based on Confucius whereas in Western societies thinking is based on Aristotle and Ancient Greek philosophy. 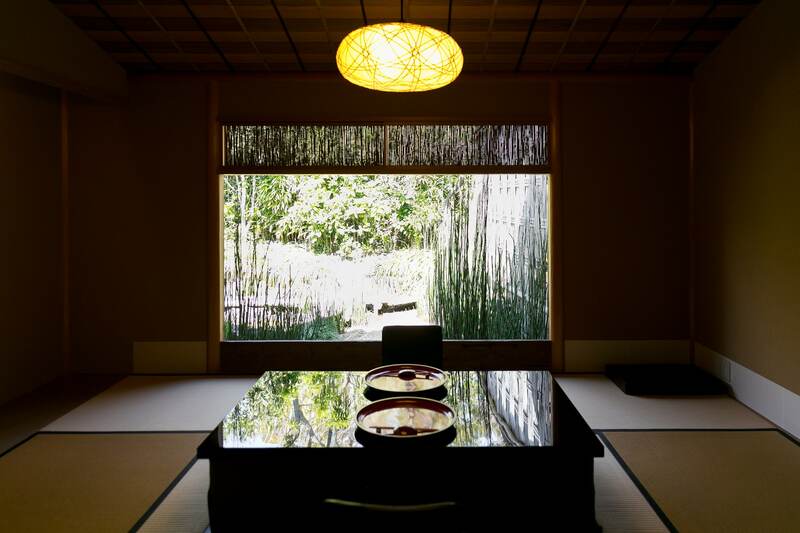 We are seated in a private tatami room at a traditional Japanese low table, overlooking an incredibly relaxing part of the garden. We are welcomed with cold face towels and order some drinks to start. There is a menu, but it’s sole purpose is for us to know what we are eating there is no ordering at a Kaiseki restaurant – you are in the hands of the chef. The first course is what is known as the Saizuke. This is the first impression and it is similar to what the French would call an Amuse Busche. As it is summer we are served a single green Japanese plum (Aoume), which is known for its sour characteristics. 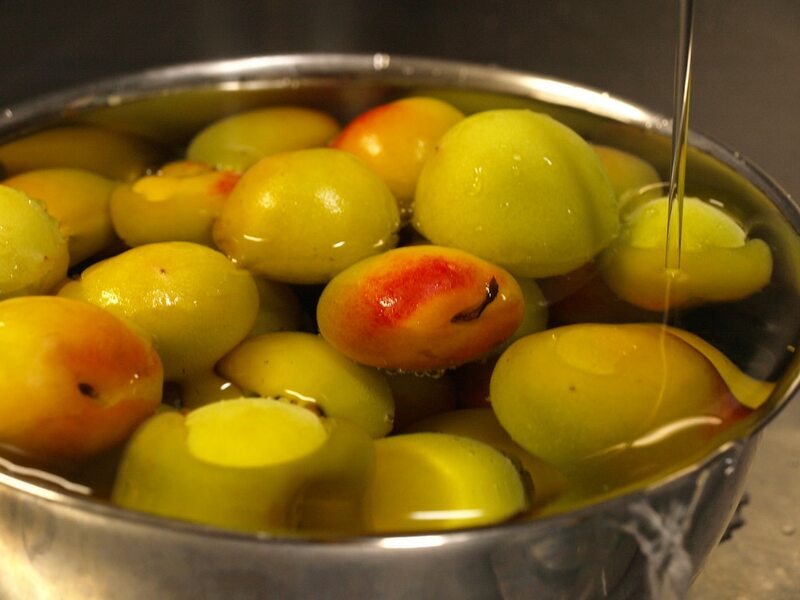 Green plums are usually too hard to eat but this one has been simmered in a sweet syrup with some white wine. The plum is served in an old baccarat crystal dish with a ‘raindrop like’ piece of ice made from the syrup in which it was previously boiled. Ume is erroneously referred to as a plum by Japanese and foreigners alike but in actual fact it is an apricot Prunus mume (Armeniaca mume). It is extremely sour and bitter and is really only used to make Umeshu (liqueur) or it is picked with salt to make Umeboshi. Umeboshi has had a long history and was first mentioned in 10th century documents in Japan. It is the perfect start to any meal in that it is so salty-sour that you feel it is imperative to eat something. (Ritchie 1993) This one gets the mouth juices working. Next comes the Hassun. This course is meant to create the seasonal theme behind the entire meal. Ours comes with a trio of bamboo grass rings woven together that serves as a canopy for the dish and attached is a small piece of paper, which signifies Gion festival. On it says – we are descendants of Somin Shori (the poor man I mentioned earlier). 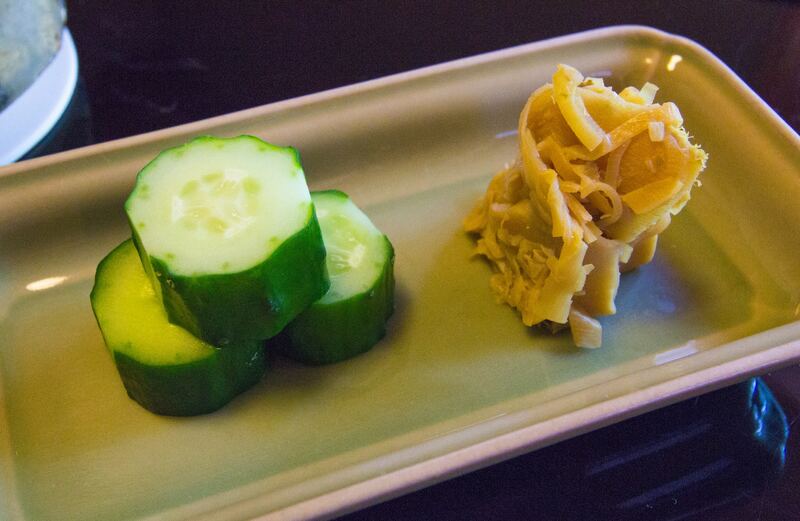 Hajikami – pickled ginger shoots which have been soaked in plum vinegar. Kawa Ebi – lightly seasoned boiled river shrimp. Hamo-zushi – Hamo (dagger tooth pike conger eel) sushi. Rikyu fu to Auori Kaminari-boshi Hisui-ae – Rickyu-fu, a kind of wheat gluten, common in vegetarian temple cuisine with wilted green gourd grated cucumber and vinegar. 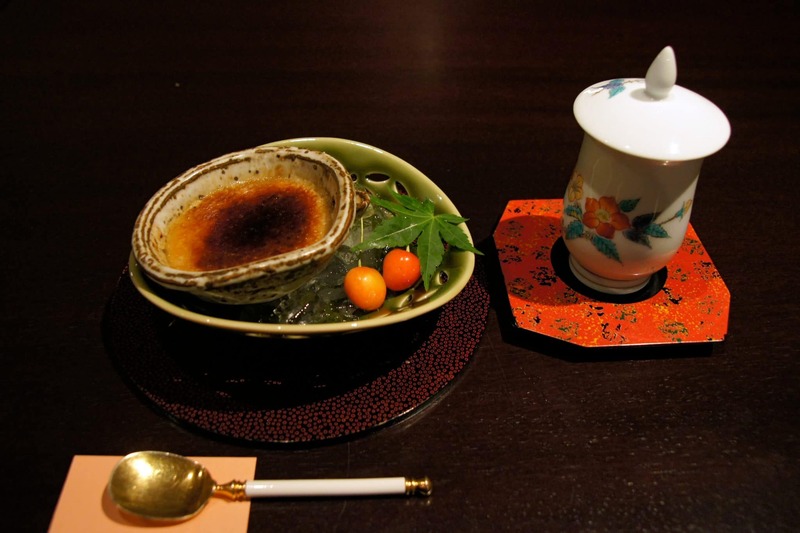 Tako no ko – Simmered octopus roe served in a light dashi. Wakasa Guji Kyuri Maki – Tilefish and cucumber sliced very thin and wrapped around an inner core of sugar and vinegar seasoned ginger. After the Hassun comes the Mukozuke which is the sashimi dish. For this dish we are served blanched Hamo which is a real Kyoto tradition. Hamo can grow up to grow up to 2 metres long and are known in English as conger eels or conger pike eels. (Hosking 1996). Its Japanese name comes from the word ‘hamu’ which means ‘to bite’ as these snakefish like creatures have a mouthful of razors that would happily leave a scar. Before refrigeration Hamo were transported alive by runners who would carry fish from Osaka Bay to Kyoto. By the time the runners arrived all the other fish, except for the Hamo, would be dead. All traditional Japanese knives are single edged similar to that of a chisel. (Ritchie 1993) This is a very different style from many European or Western kitchen knives that are used. A german knife for instance cuts through and parts one piece of meat or fish, dividing it into two. In Kyoto Hamo is served with an Ume (plum/ apricot) sauce whilst in neighbouring Osaka it is served with a vinegar and miso dressing. (Murata 2006) Naturally there is no compromise between the two locations and this is what you might call a micro regional foodway standoff. The next on our list is the Futamono – which is the first semi substantial dish. Since we are in the height of summer Chef Murata serves up a variation of a very normal home-style dish. Tofu balls are a very typical dish in Japanese cuisine and usually consist of tofu, grated tsukune yam, carrot and cloud ear mushrooms. Chef Murata wants to make us feel welcome and at home but still tweaks the dish so that it is worthy of a special evening. He serves up the fried tofu balls, which he has used, as a casing for some grilled sea eel in a viscous dashi broth. The tofu balls have taken on the rich fish oil flavour of the eel and the carrot, mushrooms and lily bulb pieces give the ball texture and depth. Tofu made in Kyoto is regarded as the best in Japan and every morning massive amounts are produced in numerous small shops around the city as it has been done every day for almost 1000 years. The earliest documentation of tofu in the region was in 1183 and at this time it was fully domesticated and served to monks at Kasuga Shrine in Nara (close to Kyoto). Of course with a history as long as this, Tofu has been ‘almost’ perfected (perfection is always strived for but never reached in Japanese culture) and a huge variety of this wonderful white wobbly food is now produced. We order more sake as the last dish is cleared. The waitress asks us if we would like to change the sake so that it would be a better match for the next item of the menu. We are happy to leave it in her hands. Outside there is a single small high pitched bell, more of a wind chime really. Attached to the string and spinning in the slight breeze is a thin piece of bamboo that has been sliced lengthways and this makes the bell chime away at irregular intervals. Normally I would find this extremely annoying but right now it soothes me, the bell, the cicadas and the stick flower arrangement. They have a cooling effect on my otherwise air-conditioned summer soul. Back inside our sake arrives, it is from Fushimi, part of Kyoto prefecture and is served in a small sake carafe that is shaped like a butternut pumpkin nestled in a wooden box of shaved ice. It has a faint hint of tangerines and orange peel but it is not overly dry. 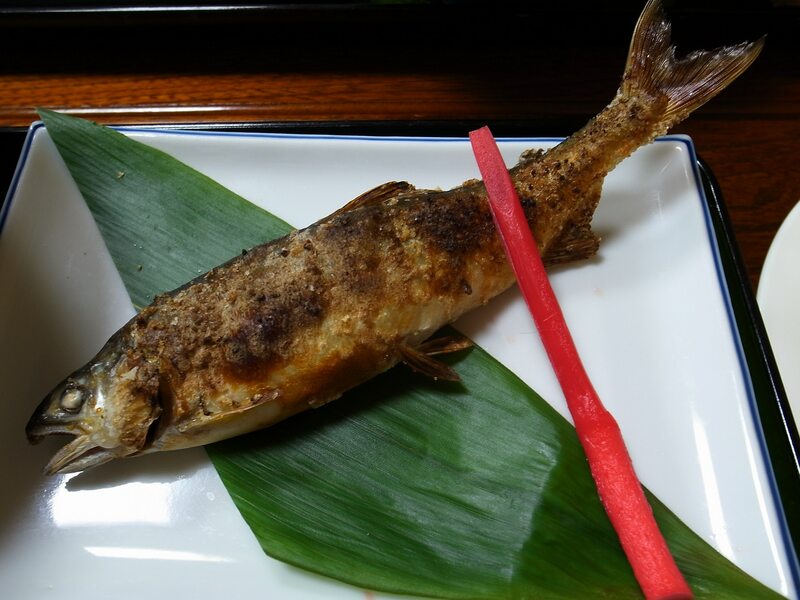 Next is the Yakimono which is usually a fish dish that is grilled, panfried or broiled. Ayu is a freshwater fish that feeds mainly on water plants. It lives in rivers and the ones we are eating today have been sourced from a river called Ado River, which runs into Biwa Lake just north-east of Kyoto. Weighing no more than 30 grams our intrepid little river explorers are grilled over a coal fire until their skins are wrinkled and crisp. We eat them whole, heads and all. The entrails provide a sweet bitterness that again kicks us into the spirit of summer as if biting into a sour citrus alien fish. As a foreigner these are fish I would usually associate with an aquarium instead of a dinner table. Fish bait never tasted so good. About ten minutes after the Ayu is cleared comes a refreshing serving of local Kyoto vegetables that have been arranged in a small glass bowl with extreme care. The eggplant, pumpkin, and burdock root have been arranged to offset the small Tanaka hot peppers, the winter melon and the lotus root. The whole thing combines together like a scene from a Tetris video game. A sprinkling of shaved green yuzu (Japanese citrus) skin on the top gives the whole dish a fragrant and fresh boost. This vegetable dish works well and leaves me strangely satisfied. We move onto the Naka Choku or the soup dish. As it sits in front of me, I think about this dish and its origins. Tomato soup is pretty standard. If in a restaurant the waiter tells you are having tomato soup you immediately think of a Campbell’s can. Maybe it is Andy Warhol’s fault. Tomatoes in Japan are highly seasonal. Sure you can still get them in winter but they cost an awful lot. In summer you can pick up three good tomatoes for about 200 – 300 yen (US$2.50- $3.50) and they are unbelievable. I am slightly deterred and am finding it somehow difficult to control my thoughts. Why am I so upset about tomato soup? The soup has been served in a glass bowl and in the bottom half is the actual vibrant red tomato soup whilst on top there is a layer of soy-milk skin (kumiage yuba). The ratio is about 2 to 1. I slide my way into the soup through the soy-milk skin and get a good dose of the soup. It tastes like the best vine ripened tomato I have ever eaten multiplied by a thousand. The soy-milk gives it a nice balance and adds a bit of creaminess that is rather light. I finish it and want to lick the bowl but my wife shoots daggers at me with her eyes. Whatever – we are in a private dining room and this is one of the most expensive dinners of my life. I semi lick the bowl like a heathen. Another very familiar home-style dish in Japan. 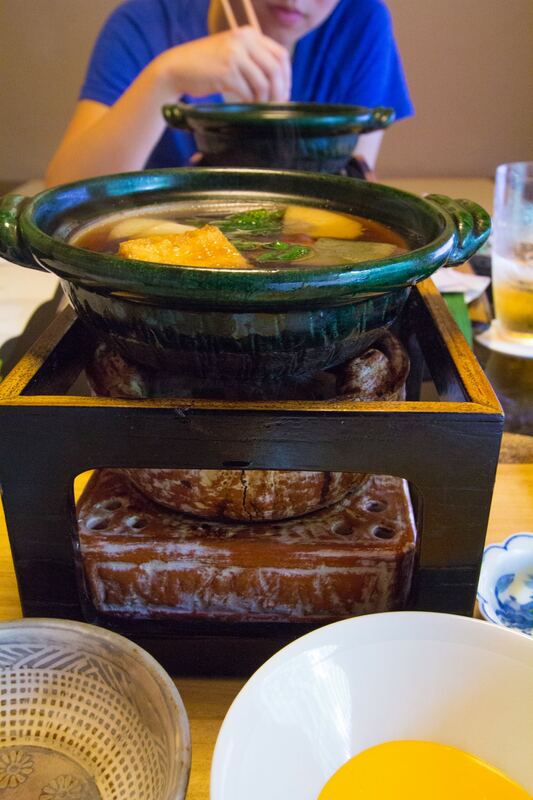 Chef Murata bases this dish on Yanagawa Nabe, which is a very traditional style hotpot that originated in the working class districts of Tokyo. (Hosking 1996) It is primarily made up of dojo and gobo. Dojo (Loach) is a fresh water fish that used to live in the rice paddies but due to modern farming practices and the use of fertilizers etc they are seen less and less. The next is the rice dish. The filler. But in this stifling heat I really just feel like another beer and a few more sakes rather than eating rice. However I have come to realise that this is what Chef Murata already expects and he serves up this rice course with that taken into account. Pickled myoga served on sushi rice. Myoga is a kind of ginger but not really. Yes. I know it’s vague – but that is the best way to describe it. Both of my pieces of sushi are gone in two mouthfuls. The last course is the most upsetting – only because I know that this culinary ride is almost over. For dessert, or Mizumono, we are served two dishes simultaneously, mixed sweets in syrup and shaved ice with green tea syrup. Mitsu- mane, mixed sweets in syrup consists of seaweed gelatin (kanten), simmered red (azuki) beans , rice flour dumplings (shiratama), cherries, mango, melon and sugar syrup. Shaved ice with macha green tea powder, rice flour dumplings (shiratama), sugar syrup and azuki bean paste. The shaved ice makes me feel like a little kid eating a slush puppy or slurpie. I wonder if that is the feeling that Murata was trying to evoke when he was preparing this dish. Food is interesting in that it can bring back memories, food and music does that for me. Our evening at Kikunoi had come to an end, and I can honestly say that this was one of the most enjoyable food experiences I have ever had. I feel content – not overly stuffed – I have a cool sake buzz and am floating on a nice after dinner plain (maybe it’s the sake). Our dinner hosts bid us farewell with a level of sincerity that is beyond expectations. 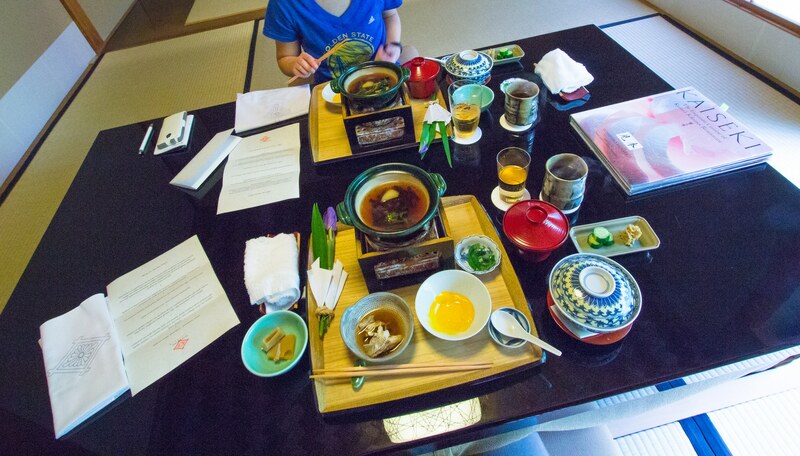 Kyoto’s Kaiseki cuisine is an experience that really can only be had here in Kyoto, it could never be the same anywhere else. We take to the streets for an evening stroll and come across a shop selling Tofu donuts – these are another speciality of Kyoto but that is a whole other story. This culinary journey is one that looks like it will never end. Chef Murata originally wanted to study French cooking and travelled to France to learn French cuisine whilst he was studying at Ritsumekan University. On returning he did his apprenticeship at Kamone Restaurant in Nagoya. He is president of the Japanese Culinary Academy and travels to medical care facilities and schools to give lectures on the importance of food and diet. 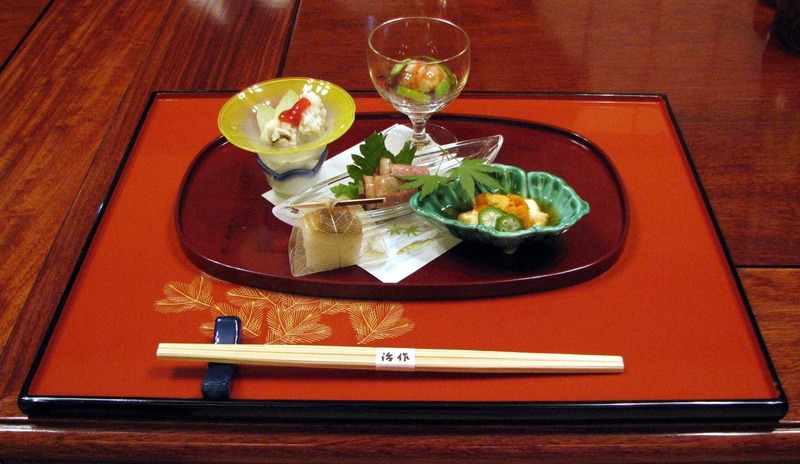 The full Kaiseki dinner menu at Ryotei Kikunoi costs between 15,750 and 26,250 ($300) Yen per person without drinks. They also serve lunch from 8,400 yen and there is a 10 -15% service charge on top of this. Kikunoi also have their own array of gourmet products from tofu to pickled vegetables and seasonings, and these are available on their website or in various department stores in Japan. Visit http://kikunoi-shop.jp/ for more details. Kikunoi actually have a total of three restaurants. 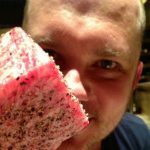 With two in Kyoto and one in Tokyo all of these restaurants offer something slightly different but all are advertised as providing the best customer service and product without pretension or affectation. They have an English website which is well worth a look. Visit http://kikunoi.jp/english/about/ for more information. Evans, Jessica & Hall, Stuart (ed.) (1999) Visual Culture: a reader. Sage, London. Gauntner J (2000) The Sake Companion. Running Press. Philadelphia/ London. Murata Y (2006) Kaiseki, The Exquisite Cuisine of Kyoto’s Kikunoi Restaurant. Kodansha International. Tokyo. Nisbett R (2003) The Geography of Thought. Free Press, New York. Food images & restaurant image are scanned reproductions of photographs taken by Masashi Kuma in Murata Y (2006) Kaiseki, The Exquisite Cuisine of Kyoto’s Kikunoi Restaurant. Japanese coy pond is a personal image.